“Pete's Dragon,” the live-action reimagining of Disney’s cherished family film, has just released its teaser trailer which may be viewed at https://www.youtube.com/watch?v=OlUkOid3TYc. “Pete’s Dragon” is the adventure of an orphaned boy named Pete and his best friend Elliott, who just so happens to be a dragon. The film stars Bryce Dallas Howard (“Jurassic World”), Oakes Fegley (“This is Where I Leave You”), Wes Bentley (“The Hunger Games”), Karl Urban (“Star Trek”), Oona Laurence (“Southpaw”) and Oscar® winner Robert Redford (“Captain America: The Winter Soldier”). For years, old wood carver Mr. Meacham (Redford) has delighted local children with his tales of the fierce dragon that resides deep in the woods of the Pacific Northwest. To his daughter, Grace (Howard), who works as a forest ranger, these stories are little more than tall tales…until she meets Pete (Fegley). Pete is a mysterious 10-year-old with no family and no home who claims to live in the woods with a giant, green dragon named Elliott. And from Pete’s descriptions, Elliott seems remarkably similar to the dragon from Mr. Meacham’s stories. With the help of Natalie ( Laurence), an 11-year-old girl whose father Jack (Bentley) owns the local lumber mill, Grace sets out to determine where Pete came from, where he belongs, and the truth about this dragon. 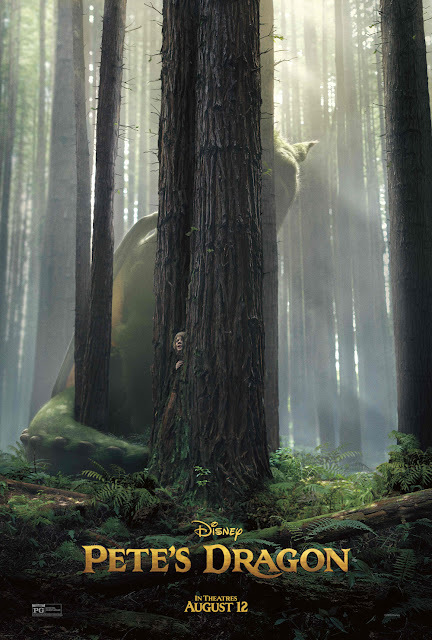 “Pete's Dragon,” which is directed by David Lowery (“Ain’t Them Bodies Saints”), is written by Lowery & Toby Halbrooks based on a screenplay by Malcolm Marmorstein and produced by Jim Whitaker, p.g.a. (“The Finest Hours,” “Friday Night Lights”), with Barrie M. Osborne (“The Lord of the Rings: The Fellowship of the Ring,” “The Great Gatsby”) serving as executive producer. Opening across the Philippines on August 31, “Pete's Dragon” is distributed by Walt Disney Studios Motion Pictures through Columbia Pictures. Follow the official social media accounts of Disney in the Philippines, namely, (FB) WaltDisneyStudiosPH, (Twitter) @disneystudiosph and (Instagram) @waltdisneystudiosph and use the hashtag #PetesDragonPH.